Dr. Joe takes pride in providing world class endodontic care for his local community. He opened the Islands' first digital endodontic office. His goal was to utilize the latest technologies and treatments to help redefine quality specialty endodontic care in Hawaii. Dr. Joe earned his Bachelors degree in Biology with honors from the University of Pennsylvania. He received his Doctor of Dental Surgery from the University of California Los Angeles (UCLA). Shortly after, Dr. Joe completed a general practice residency at The Queen's Medical Center in Honolulu. 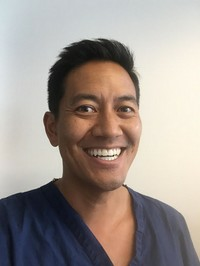 He then maintained a private practice as a general dentist in Wahiawa Town, where he gained valuable experience in comprehensive restorative dentistry as well as endodontics. Dr. Joe later finished 2 years of additional specialty training at the Albert Einstein Medical Center, where he received his advanced specialty degree in endodontics (root canals). He returned to Honolulu and has been in private practice limited to endodontics ever since. Although he is low-key by nature, Dr. Joe is an active member of several dental organizations and study clubs, and he is often requested to speak at national and regional meetings. Dr. Joe is a contributing author to the renowned Quintessence textbook, "Best Practices in Endodontics- A Desk Reference." His clinical work is featured in the recent book, "Advanced CBCT for Endodontics," another Quintessence publication which is also used worldwide by endodontists. 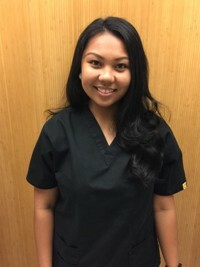 Nora has been with Advanced Endodontics of Hawaii since its inception and helps manage many of the day-to-day operations. 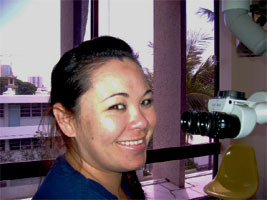 She was the very first in Hawaii to utilize the dental operating microscope for assisting with endodontic (root canal) procedures, and is one of the few unique individuals in the United States to incorporate this specialized technique. Kristen helps Dr. Joe provide quality care for our fantastic patients. She is knowledgable, skilled, and courteous and will help make your experience as comfortable as possible.